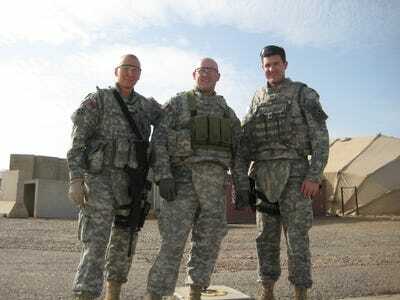 Patrick RyanPatrick Ryan (R) in Mosul, Iraq, shortly after the start of his second tour. Patrick Ryan was a sophomore at the United States Military Academy in West Point, New York sitting in his dorm room between classes as the terrorist attacks of September 11, 2001 unfolded. “Someone yelled ‘turn on CNN,'” Ryan said. He flipped on his TV and saw what was happening just 45 miles down the Hudson River from where he was sitting. As a high school senior in Kingston, New York, Ryan’s mum had insisted he apply for a few other colleges. But as a kid, family visits to West Point for college football games just an hour’s drive away had convinced him that the Academy was the only fit for him — even though he didn’t come from a family with a deep military background. At a memorial the night of the attacks, Ryan was struggling to put the day’s events together in his mind just as everyone else in the country was. It dawned on him that his West Point education would have immediate real-world relevance. “I remember thinking: Yeah, we’re gonna go to war here,” Ryan said after a pause. Today Ryan is 32 and lives in Manhattan with his fiancée; they got engaged last month, and are considering buying an apartment somewhere uptown. Transitioning into civilian life, Ryan is making a career promoting startups that develop the powerful and specialised software he wishes he’d had as an intelligence officer in Iraq — programs that can map and visualise useful information like casualties from IEDs, the market price of flour at a local bazaar, or the tribal affiliations of local townspeople. He spends half his time in Washington, DC for his current venture, Second Front Systems, which sells cybersecurity software to mostly federal clients. After 9/11, West Point’s curriculum and course offerings changed to suit and shape the challenges of the fight against terrorism. West Point’s Combating Terrorism Center was founded in 2003 to teach and study everything from extremist groups’ root motivations and grievances to their operation, recruitment, and financing. “I took a whole bunch of classes that they created basically on the fly to help us understand what was happening,” said Ryan. As Ryan continued his studies, some of those in the cohorts ahead of him were already deploying. “If any of them were hurt or killed we would hear about it, so it became pretty real, pretty fast,” Ryan said. That would soon change. Ryan has spent 27 months over two tours in Iraq. He oversaw 20 analysts charged with intelligence efforts in the eastern half of Mosul — Iraq’s second-largest city, now under ISIS control — during his second tour in 2008, one of the conflict’s bloodiest years. Ryan’s take on recent events in the country lead him to believe the average Iraqi’s fears were justified, at least in part. Ryan was never convinced the US invasion of Iraq was justified, he said. His means to help the US make the best out of a problematic situation in the country were limited. He was using Excel, PowerPoint, and Google Earth to help map his team’s sense of interpersonal and tribal relations, learn where local favour could be won, and try to predict where and when the next deadly attack might unfold. But several companies were then in the process of creating better battlefield software that was attuned to the challenges of the post-9/11 period. It was an an emerging corner of the tech industry, and one that Ryan has now found success working in. One of its earliest big players was Palantir Technologies, founded in 2004. A profile of the organisation in Bloomberg Businessweek explains how “The Digital Revolution dumped oceans of data on the law enforcement establishment but provided feeble ways to make sense of it.” This was arguably part of the reason that the US law enforcement and intelligence community had missed so many warning signs of the coming 9/11 attacks. 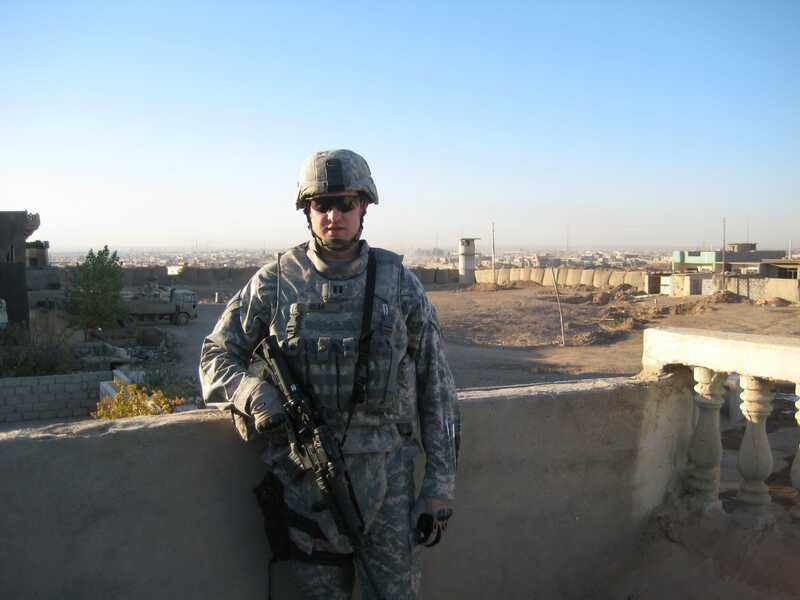 In late 2010, after his military career had concluded, Ryan traveled back to a conflict zone to help Palantir implement its new platforms. 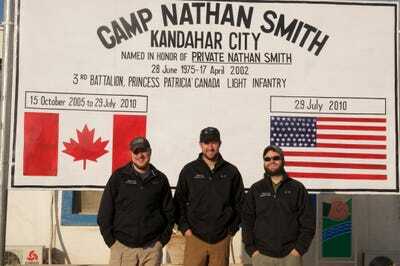 This time it was in Kandahar, Afghanistan, and he was working as an unarmed contractor rather than a member of the military. 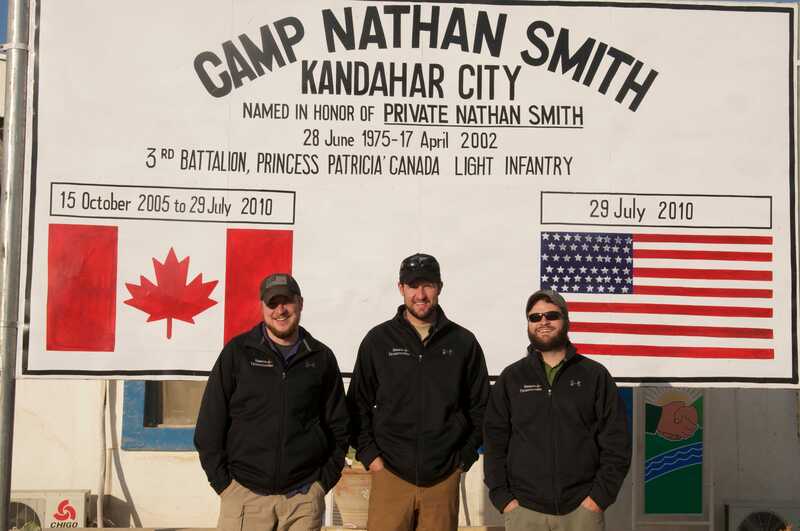 Patrick RyanPatrick Ryan (C) with colleagues of Berico Technologies (which was subcontracted by Palantir Technologies) in Afghanistan in 2010. As an entrepreneur, he now hopes to cut through the bureaucratic morass that prevents his and other talent-filled startups from competing for government work against entrenched clients like Lockheed Martin and Northrop Grumman.